You’ll experience more than a great university at Western New England! You’ll discover a world-class education in the heart of our postcard-perfect New England campus. At every turn, you’ll be inspired by amazing professors conducting research on topics ranging from autism to purifying drinking water through acoustic waves. You will feel supported and confident in studying abroad or landing your dream internship. 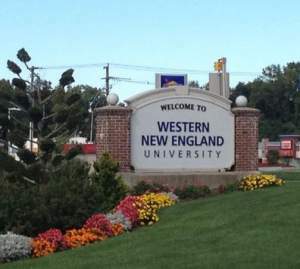 Whether you are a high school student beginning your college journey or a working professional returning to the classroom for an advanced degree, Western New England University is right where you belong. Western New England University received multiple recognitions in U.S. News and World Report’s 2019 “America’s Best Colleges,” an in-depth look at more than 1,800 institutions of higher education nationwide. Along with its traditional place among the top tier of Regional Universities in the North, Western New England was included in such categories as Best Value Schools, Best Undergraduate Engineering Programs, and A-Plus Schools for B Students. These highly rated schools admit a meaningful proportion of students who do not get straight As. When it comes to Engineering programs, Western New England University was ranked among the best in the nation when it comes to institutions where the primary focus is on undergraduate education. In this category, Western New England ranked fourth in Massachusetts and 57th in the nation.